A New Zealand farming body and dairy giant Fonterra have received letters threatening to poison milk formula with pesticide 1080. Federated Farmers and Fonterra received the anonymous letters in November, said officials, along with sachets of contaminated product. The letters appeared to be a protest over the use of the pesticide 1080 in agriculture. New Zealand’s PM John Key said milk formula was still safe to be consumed. Officials said the person or group who sent the letters had threatened to carry out and publicize their threat unless New Zealand stopped using 1080 by the end of March. At a news briefing at parliament on Tuesday, PM John Key said the news was being announced now because of increasing media enquiries. He said there was “a low likelihood of the threat being carried out, but because of the nature of it, both the police and ministers have taken the treat seriously”. John Key called the threat “a form of ecoterrorism, without doubt”, reported the New Zealand Herald. Police Deputy Commissioner of National Operations Mike Clement said the threat was possibly a hoax but that police were treating it as blackmail. He said a team had been investigating it since November. “The letter writer may not have really considered the implications of their actions when this communication was drafted,” he said. Officials said that security measures by players in the supply chain had been significantly tightened since the threats began, and that no traces of 1080 had been found in milk formula. About 40,000 tests have been conducted on products. “The ability for anybody to deliberately contaminate infant and other formula during manufacturing is extremely low,” said Scott Gallagher, the deputy director general for the ministry for primary industries. Fonterra chief Theo Spierings called the threat “despicable”. In a statement, Fonterra said the entire dairy industry had been targeted, but that it could assure its customers that “all of our milk and products are safe and of high quality, and our supply chain continues to be secure and world-class”. Police are appealing to the public to report anyone who had strong views about 1080 and had made threats before. Government officials are also asking the public to step up vigilance and check packaging for signs of tampering. New Zealand is the world’s largest dairy exporter, and Fonterra products are popular in Asia, in particular China. 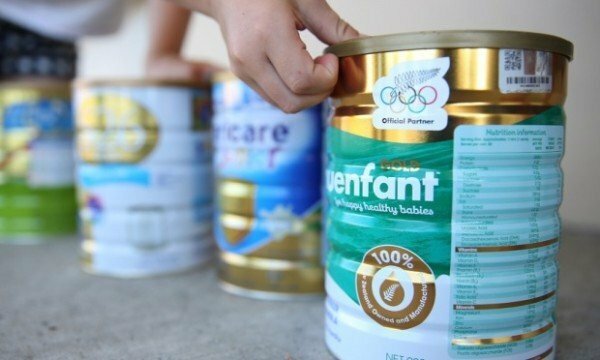 Fonterra faced a food scare in 2013 when it said contaminated products that could cause botulism had been exported overseas. It was later found to have been a false alarm, but the scare led to many countries blocking imports of those particular products. China lifted its ban last October.